The wonderful nose features hints of cream soda, caramelized sugar, berries, and madagascar vanilla bean with a touch of sweet corn in the background. It’s a departure from the standard Woodford Reserve style, feeling a bit rounder and more vanilla-heavy. The palate follows the nose rather closely, with rich cream soda, berries and caramel. There is a slight anise note, along with cinnamon spice and drying oak. The finish is medium length, and features light brown sugar, vanilla and astringent oak. Thanks to Brown-Forman for the sample! As always, all thoughts and opinions are my own. Photo courtesy of Woodford Reserve. The third entry in Woodford Reserve’s Distillery Series is Frosty Four Wood, following Double Double Oaked and Sweet Mash Redux. The trend seems to find the distillery revisiting previous editions of their Master’s Collection. This is great for folks that didn’t get to taste a previous releases of earlier Master’s Collection expressions. Case in point: I never had a chance to taste the original Woodford Reserve Four Wood. At least with this release I get to taste a variation of it. Frosty Four Wood gets its name from its flavor influences, namely barrel finishing. 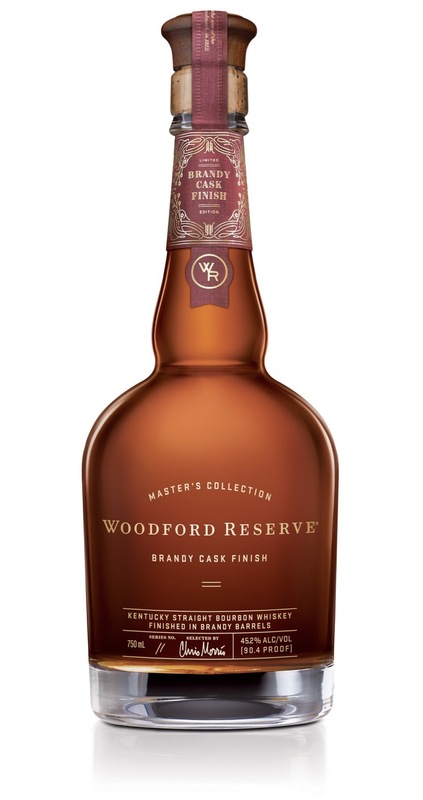 Fully matured Woodford Reserve is put into three different cask types: maple, sherry and port. This secondary maturation lasts a few months. The barrels are then blended together and bottled. The frosty part of the name comes from the Polar Vortex of 2013. The original Master’s Collection Four Wood was exposed to the low temperatures, causing flocking, or mineral precipitation. The distillers used a filtration technique that resulted in a fruit-forward flavor profile. The nose is rich and fruity. Dried fruit, sweet oak, and slightly burned toffee are the key players here. I’ve never smelled so much fruit in a bourbon. That fruit-forward profile also carries over onto the palate. In addition to being the dominating flavors, dried berries and citrus provide richness here. Cloves, corn, vanilla and toffee develop mid-palate. A spicy yet slightly drying oak shows up for the medium finish. I like this one. It’s an interesting take on the Woodford Reserve profile. The port, sherry and maple cask finish really give this bourbon a fruit-forward, rich profile, which is not how I would describe the standard Woodford Reserve expression.